A native of Puerto Rico, Ismael Santiago has been living in western Massachusetts for nearly 30 years. For the past 12 of them, he has led Grupo Canela, a family band which plays jibaro music. This style of folk music — a blend of Spanish, West African, and Taino influences, first developed in the rural, mountainous interior of Puerto Rico. Grupo Canela also plays salsa. Ismael and his family run Santiago’s Family Restaurant in Westfield, Massachusetts, which offers authentic Puerto Rican food. On Friday and Saturday evenings, members of the nine-piece group come out of the kitchen, play a couple of pieces, and then go back in to continue cooking and serving. After a certain point, they all come out to play again, until late into the night. 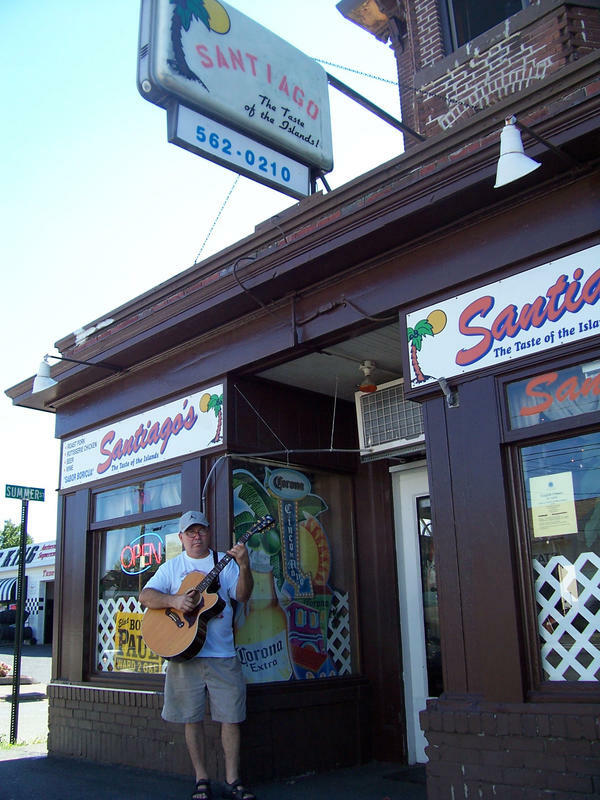 Next on the docket is a trip out to Santiago’s Family Restaurant to hear and taste this cultural experience in its locale. Hello. I would really like to talk to Grupo Canela about auditioning for our show America’s Got Talent. We are holding auditions in Boston March 7th & 8th and I would love to have the band there. If you have their contact info, please pass on my email address and ask them to contact me.